The Brick House Dueling Pianos in Indianapolis is one of the hottest night spots in town. This place has it all. They feature a range of entertaining shows throughout the week. The food is nothing to sneeze at either. Guests of the Brick House Dueling Pianos can expect a great time. The Brick House is found on lovely Broad Ripple Avenue by the scenic White River. It has a classic brick interior and a spacious outdoor patio for summer night fun. This location features many fine restaurants and night spots. It's a great place to catch a meal with friends in the afternoon. You can start your evening with its lighthearted entertainment or even end your night in a boisterous sing along. 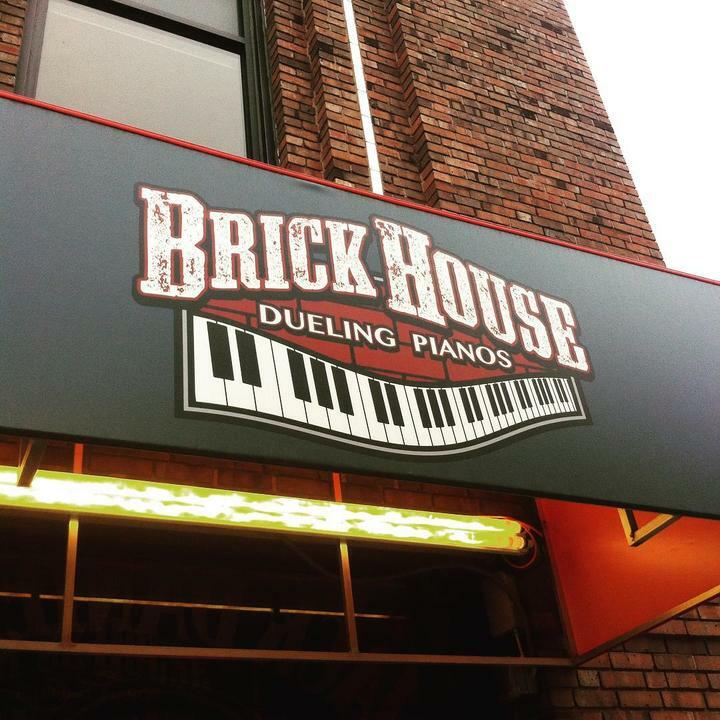 Brick House Dueling Pianos was founded by fans of dueling piano bars. Before coming home to roost in Broad Ripple they traveled about the country. Wherever they went they sampled the local dueling pianos scene. They brought the best ideas to life when they founded the Brick House. Today they boast that every hour is a Happy Hour at their establishment. They feature the best of local talent alongside talented artists from the surrounding cities. As always, guests are encouraged to take part in the entertainment. There is live music and an interactive show every night. Here, the guests are always encouraged to sing along if they know the words. It's all in fun, after all! The Brick House offers a full menu of classic Italian American cuisine. Enjoy mouth-watering subs over stuffed with goodies. Or take the low carb route with a wrap made with the same good stuff inside. Sink your teeth into a bubbling hot pizza overflowing with cheesy goodness. Lighter eaters will enjoy the salad option. Not that those salads lack in toppings! Far from it! Lovers of classic bar food will not be disappointed. The sizable appetizer section offers everything. Dig into the Brick House nachos, a dish made with fully loaded waffle fries and chicken tenders. Crunch classics like mini corn dogs, mozzarella cheese sticks and hot wings. Order up pound of onion rings! They are just that good. The Brick House Dueling Pianos boasts a full bar. Enjoy shots, well drinks and bottled brews. Each day they offer different deals on both food and drink. Early eaters can enjoy their meals half price before seven PM during the week. Fridays are for free pizza fans. Every Tuesday is Open Mic Night. Budding superstars are welcome to strut their stuff. After nine PM it's Karaoke time! Pick your favorite tunes and join in. Most days the party starts at nine and goes until three AM. Reservations for groups or parties are also available. They can be made by telephone of through the webpage. The Brick House Dueling Pianos enjoys a good time around the holidays. They have theme nights with special food and drink rates. Even better, holiday parties have fun holiday foods! Check in to see what's on offer.